Having lost a friend or loved one is unimaginably difficult. This loss can be magnified when the death is because of someone else’s wrongful or negligent behaviour. Fatal injury claims allow family members to recover financial compensation for their loss. As you may have read about in some of our other posts, all legal claims have some form of a limitation date. That is, you must file your claim before that limitation date has passed; otherwise, you might miss your opportunity to sue. 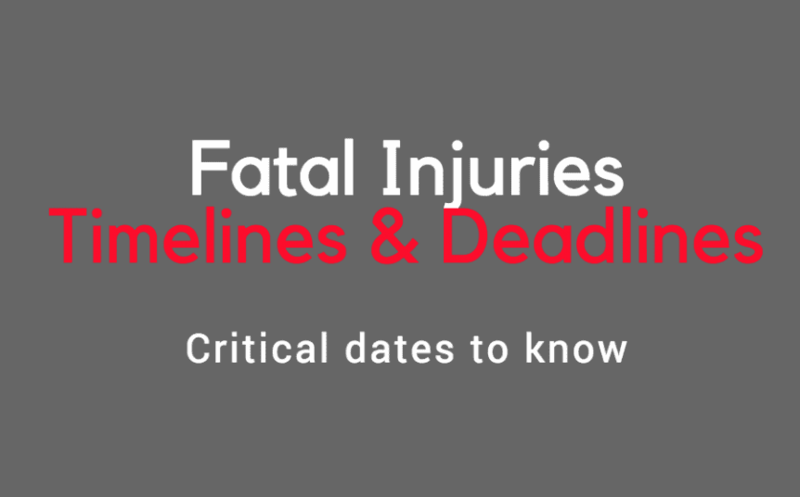 While the standard limitation date in Nova Scotia is two years, fatal injuries have a shorter expiration date. As per the Fatal Injuries Act, you must start your claim within one year after the death of the deceased person. This one-year limitation period for fatal injury claims has received criticism. Some people have viewed it as being unfair to grieving families, who are reeling from a terrible loss. One year simply does not seem like enough time. While other injury claims have a two-year limitation period, fatal injury claims are only afforded half of that time. Unfortunately, this is the current status of the law in Nova Scotia. Due to the sensitivity of fatal injury claims, you want to ensure no deadlines are missed and that your interests are protected. Having an experienced personal injury lawyer who knows the timelines for your specific case is essential to ensure you receive the proper compensation for the loss of a loved one. Jeff Mitchell works to support families in the most difficult of times with compassion and understanding. Questions about a fatal injury claim? Contact Jeff Mitchell for a free case review. Call toll-free: 1-855-670-1345 or 902-702-3452.